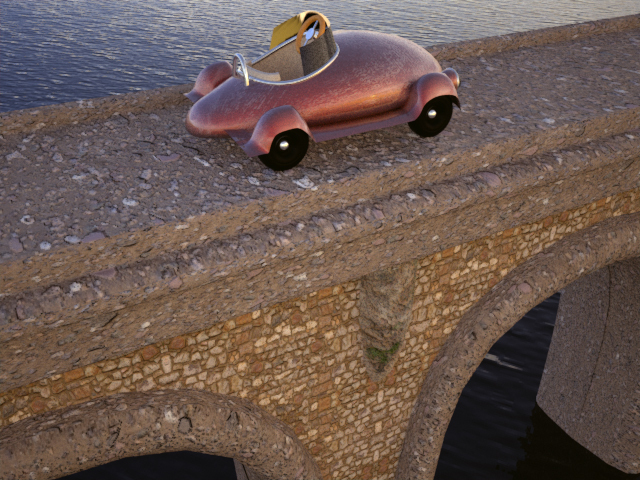 Today I’ve been completing my NURBS modeling of a “cartoon” car. 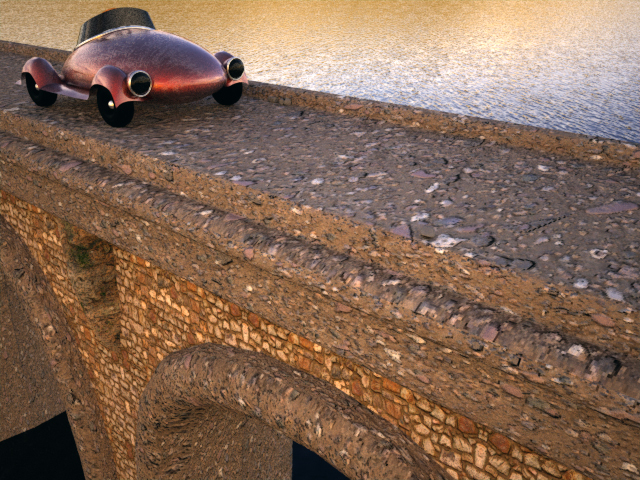 Then modeled a bridge and textures and lighting to a completed scene. I’ve been studying the book Maya at a Glance to learn more. 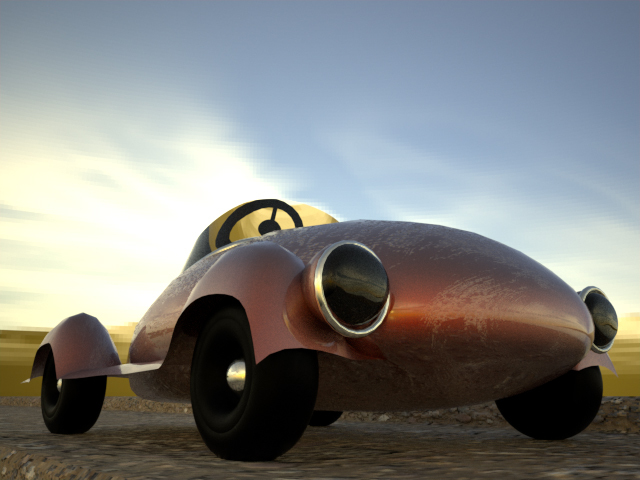 Personal project.